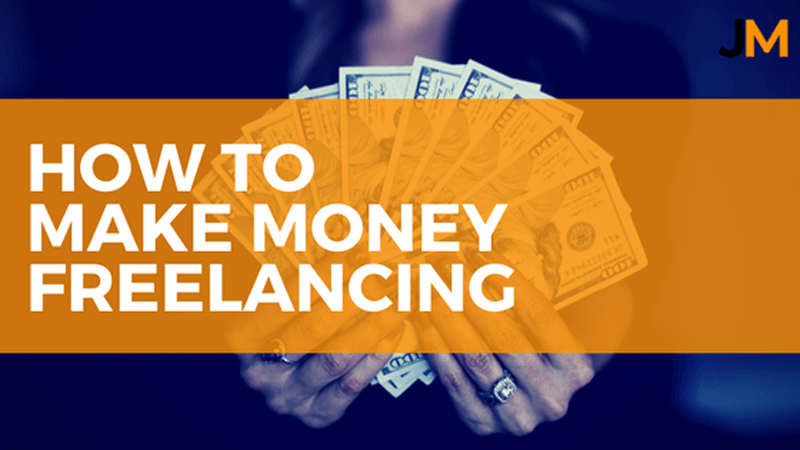 So you want to learn how to make money freelancing on the Jungle Scout Market? Well, you’ve come to the right place! 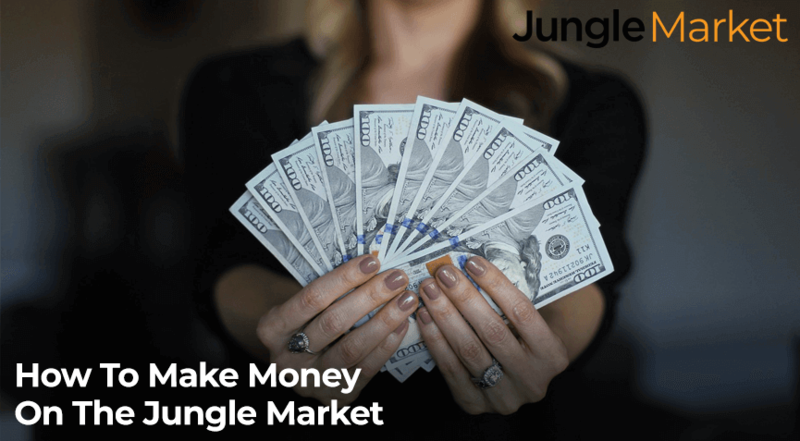 The Jungle Scout Market is the perfect opportunity to sell your Amazon services, work whenever you want, live wherever you want, and help Amazon Sellers around the world grow their businesses. Like all marketplaces, the competition can get intense. Not only do you want to sell your services to help Amazon Sellers, but so many other freelancers around the world are wanting to do the exact same thing. This is because online marketplaces have a very low barrier to entry. You might be asking yourself, How do I differentiate myself? How do I stick out from the crowd? What will make Amazon Sellers want to purchase my services over anyone else? These are all very great questions and this post will answer all of them for you. Creating a high converting, optimized listing. Delivering your absolute best quality work, every time. Understand what attracts Amazon Sellers to specific listings and why. Audit your listing and make necessary changes to increase the response rate of potential customers. Stand out from the competition and drive more leads to completing a purchase. Ready to learn how to make money freelancing on the Jungle Scout Market? Let’s get started! If you need help optimizing a specific section of your listing use the table of contents below to quickly navigate through all the most important sections of creating a listing. 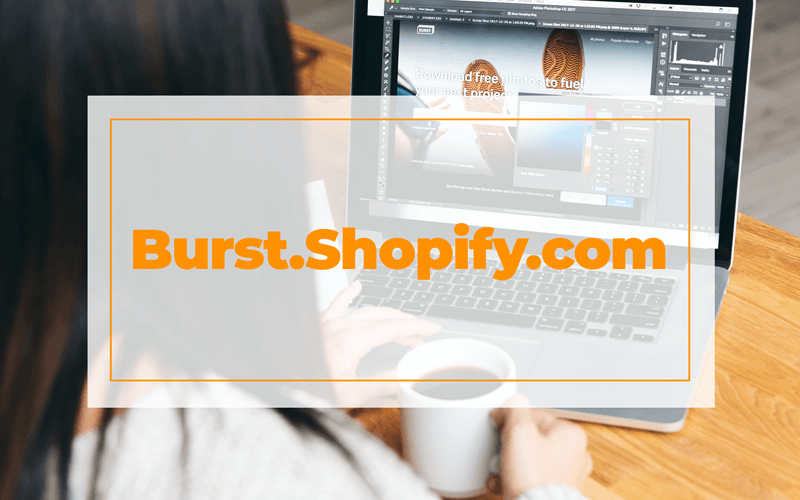 Listing title – This is your headline and what will appear in the main gallery as well as the top of your listing header. Pricing – This is the price you have listed your package for. Detailed Description – This is where you will provide all the details of what your service entails. If you’re going to work on optimizing just one thing this would be it. Requirements needed to get started – This is what you will require from the customer in order to get started on their order. As well as any important information your customer should do before proceeding to order. Extras included – These are extra perks and benefits you can include with your offer to make your listing stand out. Delivery time – This is the timeline your customer will expect to receive there order by. 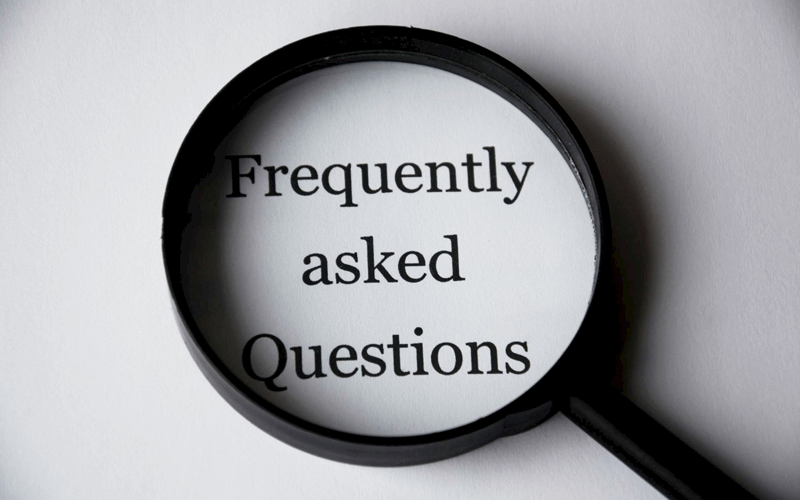 Frequently Asked Questions – These are the questions you get asked the most from customers. Location – This is where your business is located. Images – These are the images that appear in the main gallery and at the top of your listing. Bio – This is additional information about yourself or your business. Profile Picture – This is where you would include a headshot of yourself or business logo. 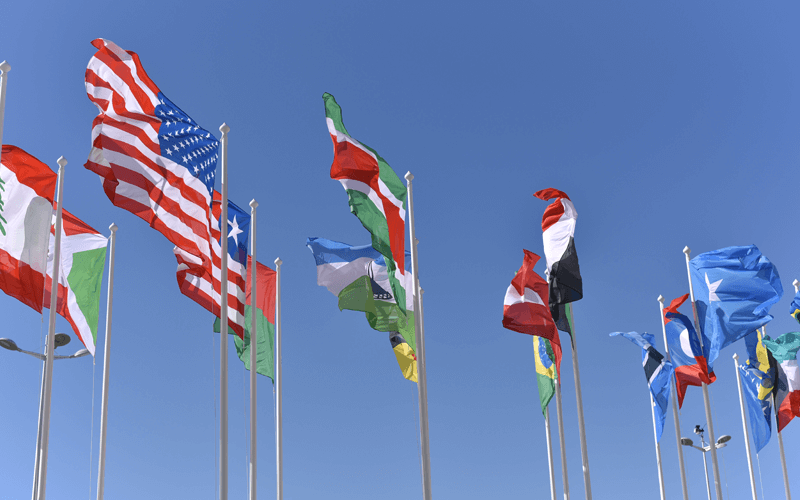 Languages fluent in – This is the languages you are fluent in speaking. Education level – This is your highest level of education. Certification – This is any additional certifications you have taken that relate to your service. Inbox – This is how you stay in contact with your customers on the Jungle Scout Market. Reviews – These are verified customer reviews. Your listing title is one of the most important aspects of creating a high converting listing because it is the first piece of copy the customer will read. If they read your listing title and it doesn’t relate to what they are searching for they will move on to another listing. This is your chance to capture the Amazon Sellers attention before they scroll past your listing. If your listing title is vague or not descriptive to the service you are selling it will be much more difficult to get the buyer to click on your ad. Capitalize the first letter of each word to make your description easier to read and stand out more. When it comes down to making a decision on whether to pick one service over another it usually comes down to price. Amazon sellers launching their very first product have a lot of upfront costs in the beginning. They’ve had to pay for inventory, shipping, marketing, tools and everyday operating expenses just to get their business off the ground. So many of them are looking for a service that is high quality, can be delivered quickly and is affordably priced. All pricing on the Jungle Scout Market is categorized by packages. If your business doesn’t currently have packaged pricing you will need to spend some time coming up with a series of different packages to offer and pricing them competitively. On the other hand, pricing your service incredibly high will scare away customers on a budget. Always put yourself in your customer’s shoes and ask, “would I pay this much for a service if I was selling on Amazon?” If you can honestly answer, YES! Then you’ve most likely priced your service at a fair price point. 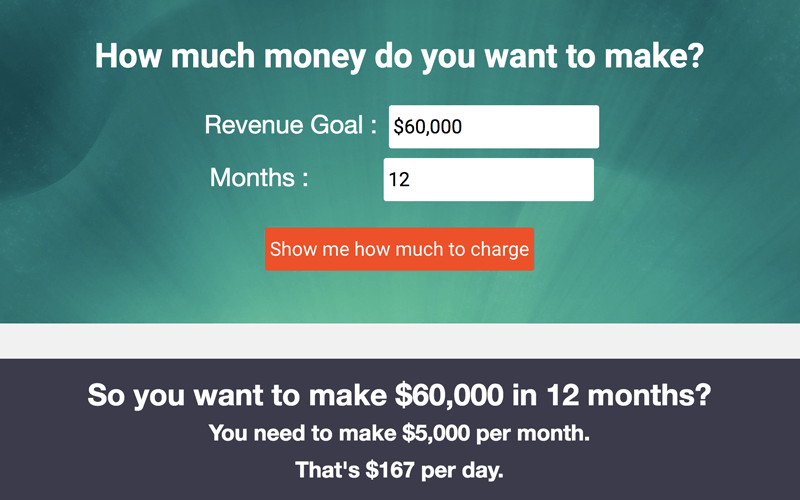 Set realistic monthly revenue goals for yourself. Do you just want to work on the Jungle Scout Market part time for some extra cash? Or do you want to earn a full-time income freelancing on the Jungle Scout Market? 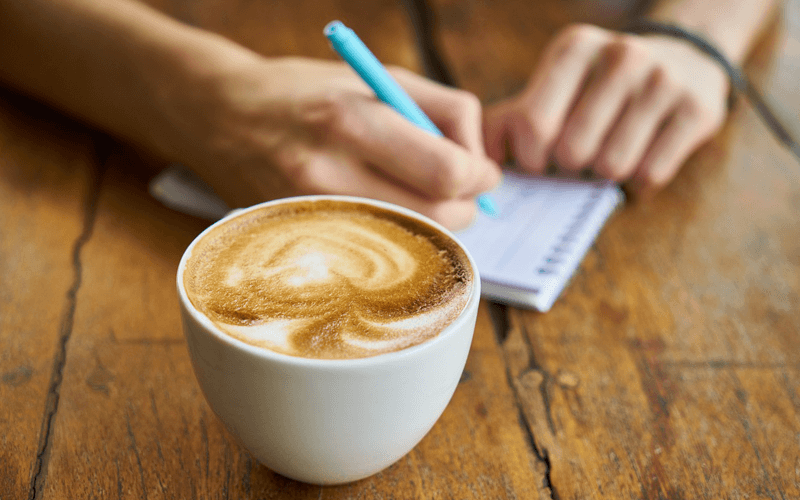 You can use this handy service pricing calculator from Kopy Writing Kourse to figure out how many clients you would need to service per day to meet your monthly revenue target. Always offer the absolute minimum quantity you would be willing to accept from a customer. For example instead of offering 10 consulting hours for $1000. Try offering 1 consulting hour for $100. At the end of the day, a hundred bucks is a lot better than lint in your pocket. This also helps the customer build trust in you. If they are satisfied, then what’s stopping them from ordering two or three times more consulting hours the next time? It’s much easier to make a sale pricing your service affordably and allowing the customer to increase the quantity of the package if they so choose. Then pricing your service high and crossing your fingers for a sale. Your listing description is the most important aspect of your entire listing. If you’re going to spend time optimizing just one thing this would be it. This is your chance to write high converting copy that makes the potential buyer seek out for more information on the service. If your listing description is only a paragraph and your pricing your service at $500+ you can be sure to see tumbleweeds instead of sales. If you wouldn’t spend $500+ on a service that was only described in one paragraph don’t expect anyone else to. Introduction: Who you are and what your business is. Specialty: How long you have been doing this service and why you are an expert in it. Problem Solving: How you will help solve the customer’s problem. Included: A detailed breakdown of everything that is included in the package. Not Included: What you are not willing to do or will not accept. Portfolio: Links to your portfolio and past examples of your work. Testimonials: Past reviews from happy customers. Call To Action: What do you want the customer to do? Message you? Proceed to order? Send more details about their project? Create a short YouTube video and post the link in the description to have your video appear at the bottom of the listing description. This is a great personal way to introduce yourself to your audience and tell them exactly why they should choose your service and what they will get. Requirements Needed To Get Started. Providing a detailed breakdown of what you will need to get started on a project won’t only help your customer get organized, but will also potentially save you a lot of headaches in the long run. This is your chance to obtain as much information from the customer as possible so that you can be successful. How and when will you be shipping it to me? What types of shots would you like? Do you have any competitor photos you would like me to replicate? Does your product require assembly or preparation? What makes your product unique or different from the competition? What background would you like the photos on? What is your preferred location to shoot? Are there any types of props you would like with the photos? When do you need the photos by? If you would like me to return the item, what is your address? If you require a lot of information from the customer in order to get started on there order we suggest you create a detailed form. Paste the link to this form in the requirements to get started field and send it to customers if they reach out to you for more details. Not all services have extras included but a high majority of them do. These services include: graphics and design, copy & translation, photography and digital marketing. Extras included in your listing are additional perks the customer will receive if they so choose to order from you. These little bonuses can be the deciding factor between a customer choosing your service and your competitor’s service. Going the extra mile to include extras such as available for commercial use, competitor research, SEO optimized, high resolution, and includes source files will make your customers feel like they are getting a lot more value for their money. Not all categories have the pre-populated form field for extras included. If your service does provide additional perks worth mentioning, make sure to include them in your listing description. In the world of Amazon selling time really is money. The longer it takes an Amazon Seller to receive a service that is essential for the growth of their business, the more potential revenue they could have earned is now lost. The very first thing most Amazon Sellers filter on the Jungle Scout Market is the delivery time. If you aren’t able to deliver a service in the time they need it by your listing won’t even get the opportunity to be viewed. Amazon Sellers are even willing to pay more for a service that is delivered quickly than pay less and have to wait longer. When you are discussing the project with your customer make sure to set expectations from the beginning of the conversation and let them know when you are expected to deliver their project. If you are having an unusually busy week and the work is piling up go back into your listing and edit the delivery time. It’s better to be honest and let your customers know the service will take up to 7 days for delivery than to try be a superhero and say your service will take up to 3 days for delivery. 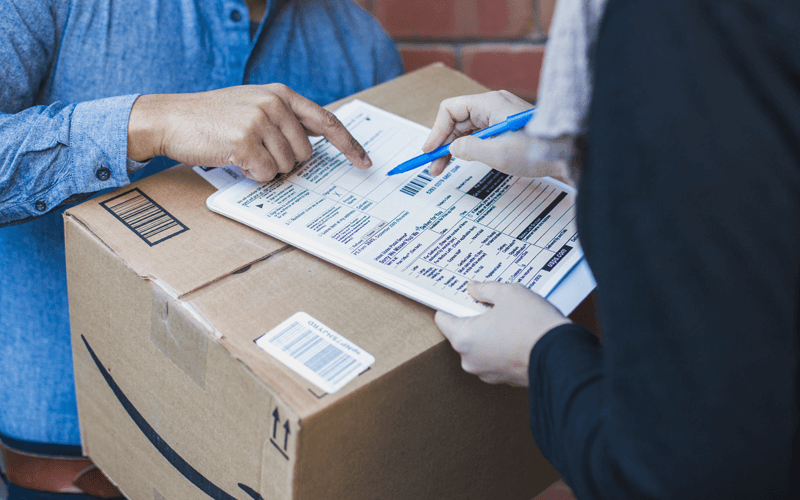 Delivering your service past the delivery date can result in the customer never returning, no referrals, a negative review and sometimes even a cancellation of the order. If for any reason you aren’t able to deliver the service to the customer in the time promised, make sure to reach out to them, apologize for the delay, and let them know when they can expect their service. Communication and 100% transparency with your customers can easily change a negative experience into a positive experience real fast. Answering your customer’s questions for them will not only help your customer order your service faster but will also save you a ton of time and headaches answering the same questions over and over again. Giving you more time to focus on creating your absolute best work and less time answering emails. The best part about FAQ questions is your past customers have done all the work for you. Start digging through old customer emails and copy the most asked questions from previous clients and your answer to them. What makes you an expert in this field? How long does it take for delivery on average? We require all freelancers on the Jungle Scout Market to include the location of their business. 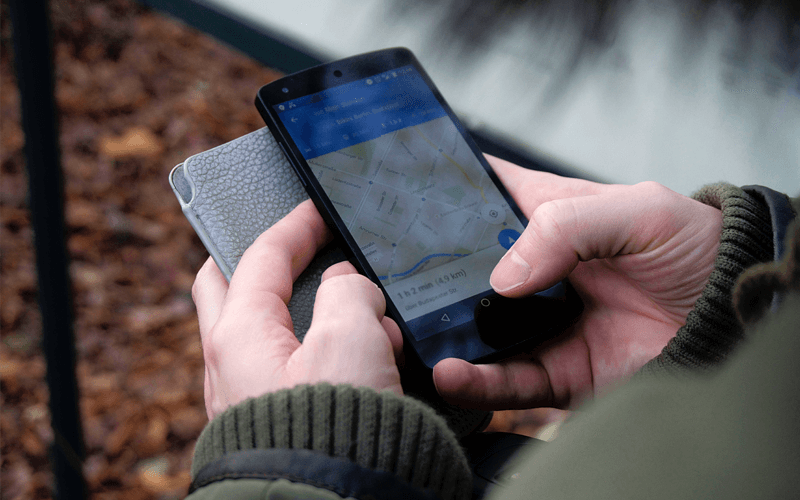 This helps Amazon Sellers know where you are operating your business and how close you are located to them. If you selling product photography in the U.K and a majority of the customers you are talking to are based in the U.S they will need to know it will take a long time to ship a sample to your studio. So the delivery time will be delayed for their order. If you are providing consulting or accounting services, some clients might want to meet face to face instead of over an online call to collaborate and discuss more details of their business. Next to your listing description the images you upload to showcase your portfolio are the most important aspect to creating a high converting listing on the Jungle Scout Market. Some might say images are even more important than your listing description because it is the very first thing a customer will see in the gallery. If your hero image doesn’t capture the user’s attention, looks low quality or pixelated or has nothing to do with the service you are offering you can be sure to attract far less viewers to your listing. Marketplaces like Amazon have incredibly strict requirements for what an Amazon Seller can and can not upload as their main image. The Jungle Scout Market is far less strict than Amazon, but we still require all freelancers to upload a minimum of one (1) high quality photo that relates to the service they are offering. We recommend a minimum of 3-4 high-quality photos per listing no matter what your service might be. 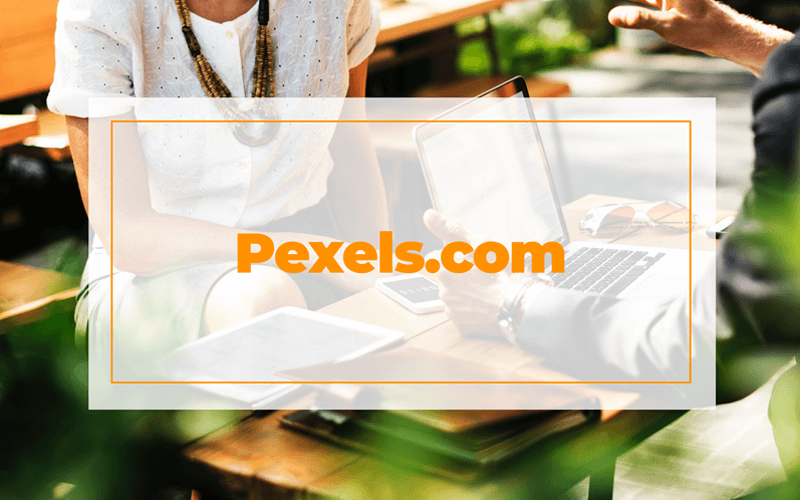 For best results use: JPG, GIF or PNG images that are at least 660 by 440 pixels. But what if I don’t have any photos of my service? If you want to take your listing to a whole new level you can create a professionally designed branded hero image using Canva. Canva is like photoshop for newbies. The tool is comprised of beautiful pre-built templates and the platform is entirely drag and drop. So you don’t need to go to design school to make your images look like a pro made them. * Ask your past clients if they wouldn’t mind you showcasing some of the work you did for them. * Take screenshots of the results your clients have got. * Ask your past clients for a testimonial. * Add the logos of all the large companies you’ve worked with in the past. * Ask a friend or family member to take a picture of you working at your desk or office. * Create an image of all the features and benefits your service offers. Your bio is where you get the opportunity to share additional information about yourself as a freelancer or the business you have built. Similar to your profile picture your bio adds personality to your listing and allows the customer to better get to know who they are doing business with. How many years you’ve been freelancing or running your business. Why you love freelancing or running your business. Some of the clients you’ve been privileged to work with in the past. Your specialities and what you love most about your work. Past positions you’ve held that relate to the service you’re offering. How many years you’ve been selling on Amazon and the number of products you’ve launched. What you like to do in your personal life when you’re not working. For more details on how to add a bio to your profile visit this article >>> How do I add a bio to my profile? Not including a profile picture in your listing is like greeting a customer with a paper bag over your head. If a customer is willing to spend $500+ on your service they want to know who the other person they are communicating with looks like. Including a high-resolution profile picture in your bio helps puts a face to who the customer is talking to. If multiple people from your organization are responsible for communicating with customers on the Jungle Scout Market then upload a company logo. Leaving your profile picture blank makes the customer feel suspicious and your listing seem untrustworthy. If someone added you on Facebook and they didn’t have a profile picture would you really want to add them as a friend? That’s exactly how Amazon Sellers feel when they research a listing without a profile picture included. For more details on how to add a headshot of yourself to your profile visit this article >>> How do I add a profile photo/picture/image? The Jungle Scout Market is worldwide and that means we have Amazon Sellers that sell globally in North America, Europe, Japan, China, India and soon to be Australia. Although a majority of the users on the Jungle Scout Market are based in North America and Europe it still helps to be fluent in other languages. If you can speak other languages other than English make sure to highlight them in the languages fluent in form field. This could very easily give you the upper hand with some customers that aren’t confident communicating in English and would prefer to communicate in their native language instead. You didn’t go through all those years of postsecondary schooling just for nothing, did you? If you’ve received any higher education degrees, diplomas or certificates make sure to include them in the education form field at the bottom of your listing. Showing users that you have a post-secondary education can instill trust and confidence in your work, especially if your education relates directly to the service you are offering. Certifications are more specific to the service you are offering and show that you are up to date with the latest industry trends in your specific niche. A designer might be an Adobe Certified Expert (ACE) which allows them to announce to the world that they know Adobe products inside and out. 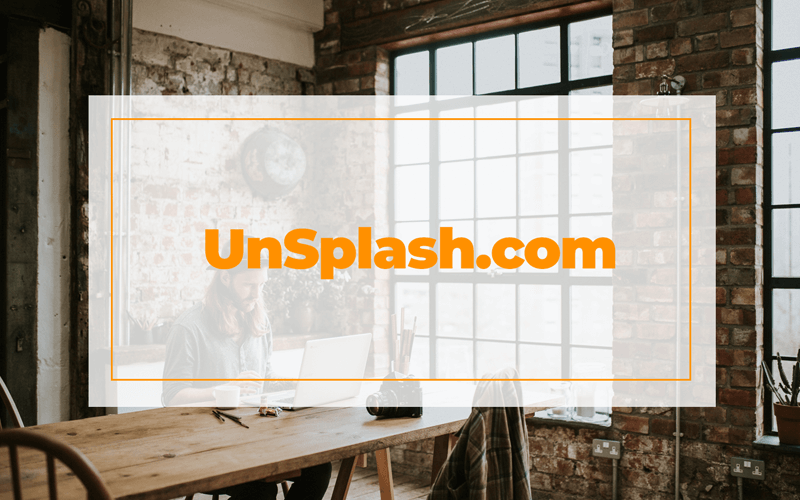 Whereas a digital marketer might have taken the Inbound Certification Course with HubSpot to learn all the in’s and out’s about Inbound marketing. There are all kinds of free certifications online that can keep your skills sharp if you feel a bit rusty on a particular subject. Since the Jungle Scout Market is a marketplace built specifically only for Amazon Sellers we would highly suggest you stay up to date with all of Amazons Tutorials and Training to ensure the services you are delivering to Amazon Sellers meet Amazon’s strict requirements. Your inbox doesn’t relate directly to creating a high converting listing. But if you do have a high converting listing and it takes you on average a week to reply to customer inquiries then you did all that work for nothing. When you become a verified freelancer on the Jungle Scout Market you’re not just a service provider, but also a salesperson. If you needed internet for your house and it took the internet provider over a week to respond to your inquiry there’s a pretty high chance you would go to a competitor that did want your business instead. The same thing goes to responding to customers on the Jungle Scout Market. The faster you can get back to them and answer all their questions the faster they will click, Proceed to Order and purchase your service. Try to keep your response time to under 24hrs. This will ensure your lead knows you’re available and eager to help them with their Amazon business. Just like any other marketplace positive reviews are the core of the Jungle Scout Market. 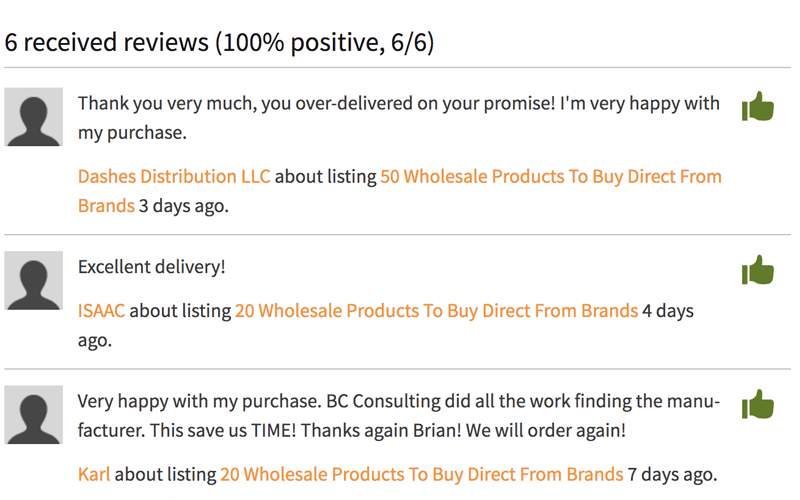 After a customer has marketed the order as completed they are given the chance to leave a positive or negative review. Only verified reviews are accepted on the Jungle Scout Market, so you will only receive reviews from customers that have purchased your service and have had their order successfully completed. Obtaining a positive review all comes down to customer service. If you can provide the customer what they asked for, in the time you said you would and be 100% transparent throughout the communication process there is a very low chance you will receive a negative review. However, if you ignore the directions from the customer, deliver the order late or have a slow response time you can expect to receive a negative review. Just like Amazon, the more positive reviews you receive on the Jungle Scout Market the more likely you will have customers flocking to see what service you’re offering. Offer your service at a discount when you’re first starting out to attract customers and get early reviews. If you sell on Amazon, you already know how important it is to get reviews in the early days to boost your rankings. Same thing goes for the Jungle Scout Market. Providing your service at a big discount and breaking even to get reviews fast will allow you to increase your price and get more customers later on. If you don’t want to discount your service you can also try creating another listing that is more basic and affordable then your main listing. For example, if you normally offer 10 product photos for $500. Try offering 1 product photo for $50. Congrats if you made it all the way to the end. You now know every single step in order to make money freelancing on the Jungle Scout Market. Well done! If you get these three things right you will be well on your way to becoming a top paid freelancer on the Jungle Scout Market. 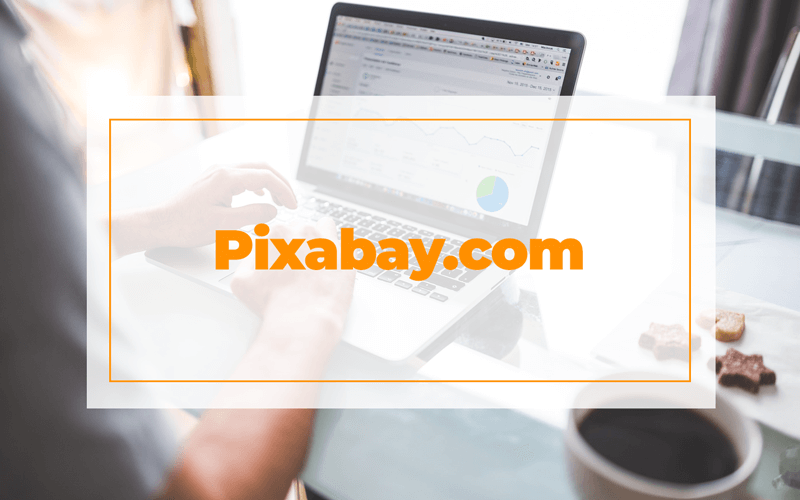 But if you do have the time to cross off all the sections we covered in this post you will without a doubt have one of the highest converting listings on the platform. If you have any friends you think would be perfect for the Jungle Scout Market feel free to share the love with them. 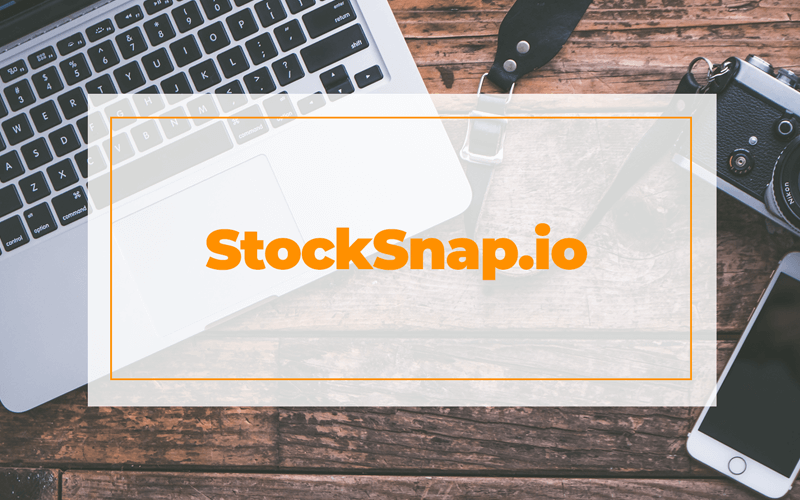 If you have any additional questions about setting up your account or listing feel free to check out our seller help center. Finally, if you have any tips, tricks or hacks on how you created a high converting listing, please share them in the comment section below. Good luck with your listing! I know with passion, determination and the drive to help make an impact in the lives of Amazon Sellers you will be successful on the Jungle Scout Market. Ready to start making money freelancing on the Jungle Scout Market? Sign up for a free account! Thank you, I found a lot of helpful tips on how to improve my listings on JSM!